Seriously, "R" and I ate like kings this past (long) weekend. He turned the big 3-1, and we celebrated with family, friends, and each other. All centered around food...I'm feeling a major detox coming on this week. Friday after work, I picked up my Chevy Cruze. That's right...I am one of this month's Chevy Girls as part of the Girlfriend Getaway program. I've been asked to test drive a Chevy Cruze for four weeks and blog about my experience. I'll be sharing photos, video, stories, links and more over on their website. Don't worry, I'll let you know when I post. I have only been driving the car for four days, but I am enjoying it already. Hello heated seats and remote start! But I digress...We picked up the car and then scurried back home because we were headed out to dinner with "R's" family at Washington Place Bistro & Inn in Little Italy. When they opened about six weeks ago, they held a special media preview dinner that I had to miss since I was still recovering from my surgery. But after reading all of the great reviews from many of my fellow food bloggers, I knew that I had to get over there soon! So when we started to look at restaurants for "R's" birthday, this was top on my list. Luckily, he agreed. First, I loved the complimentary valet parking. Parking can be tricky in Little Italy, so it was appreciated. The entrance/bar area is modern yet cozy and inviting thanks to some soft yellow lighting. We were seated in one of the small rooms used for the main dining area. I personally like how the area is split into several smaller spaces. 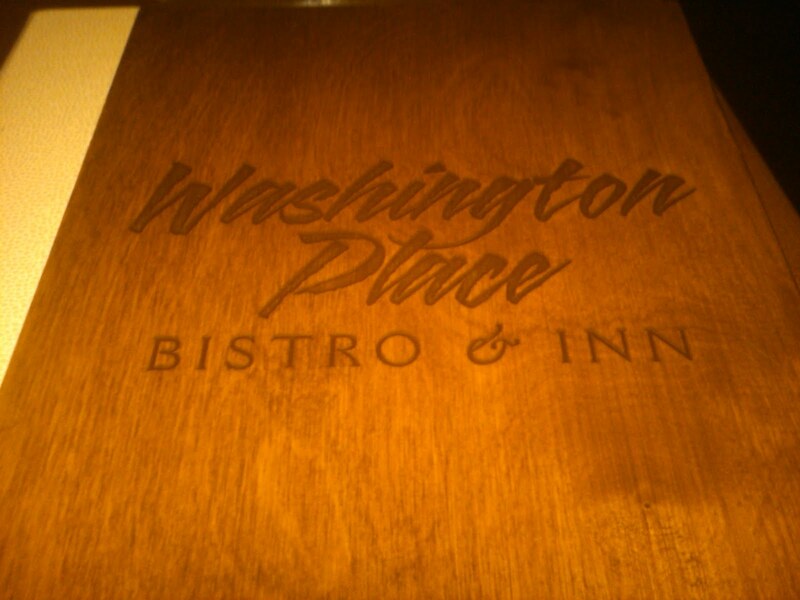 It is more intimate, and perfect for our special occasion. The two of us started by sharing the Oxtail Pierogies- oxtail ragout, ohio city pasta truffled potato pierogie, caramelized onion, and horseradish creme fraiche ($13). The manager informed us that this appetizer is quickly becoming one of their signature dishes. It was certainly good, but it didn't blow me away. The creme fraiche was perfect though. "R" ordered their Braised Pot Roast- c.a.b., chef's garden carrots, roasted garlic mashers, and big red reduction ($18), which is also becoming one of their signature specialties. Thanks for the suggestion, tweeps, because this dish was a winner. The meat was so tender that it fell right apart, and all of the flavors worked in harmony. I was lucky enough to steal two bites before it vanished! 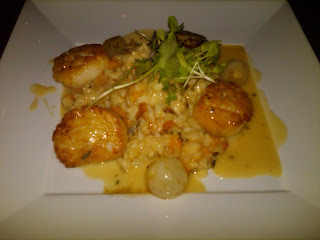 I decided on the Dayboat Scallops- butternut squash risotto, pearl onions, apple cider demi, and micro greens ($21). The risotto got a little rich towards the end, but overall I really enjoyed the dish and the scallops were cooked perfectly. Overall, we truly enjoyed our first experience here. The cozy, intimate atmosphere was just what we were looking for, the service was friendly and attentive, and the food was just shy of exceptional. I am already certain that we'll be back, and soon. That beet and goat cheese salad is calling my name! 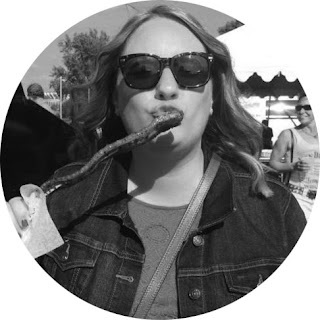 Disclaimer: The Girls On The Go campaign is being sponsored by Northeastern Ohio Area Chevy Dealers, who gave me a Chevy Cruze to test drive for one month and blog about my experience using the vehicle. The program has given us some fun "missions" to do and will be providing me with gift certificates to allow me to do this. Follow Gotta Love Chevy NEO on Facebook or on Twitter (#chevygirls). I've been wanting to check this place out, too! Have fun with the Cruze!!! I miss the remote start! Alana- Yes, you should def get over there! They are doing a great job for only being open for such a short time. And I am already enjoying the Cruze. I think that I have the one that you drove! Michelle- I was sad to miss the media dinner, so I was thrilled to be able to finally get there. They were truly impressive. I cannot wait to try Washington Place. I just may suggest it to the bf for Valentine's Day and I usually let him pick where we go for occassions.